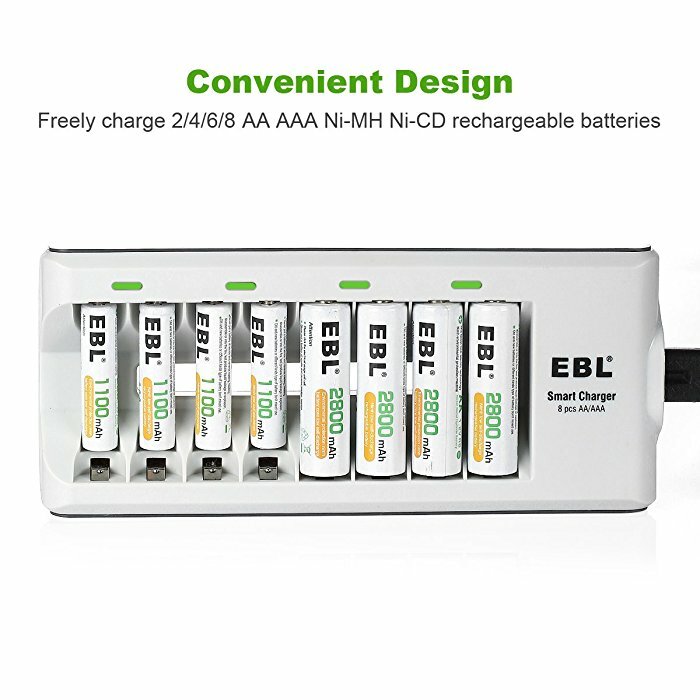 The EBL 808 smart charger can charge AA/AAA NI-MH/NI-CD batteries, and each battery can be charged individually. 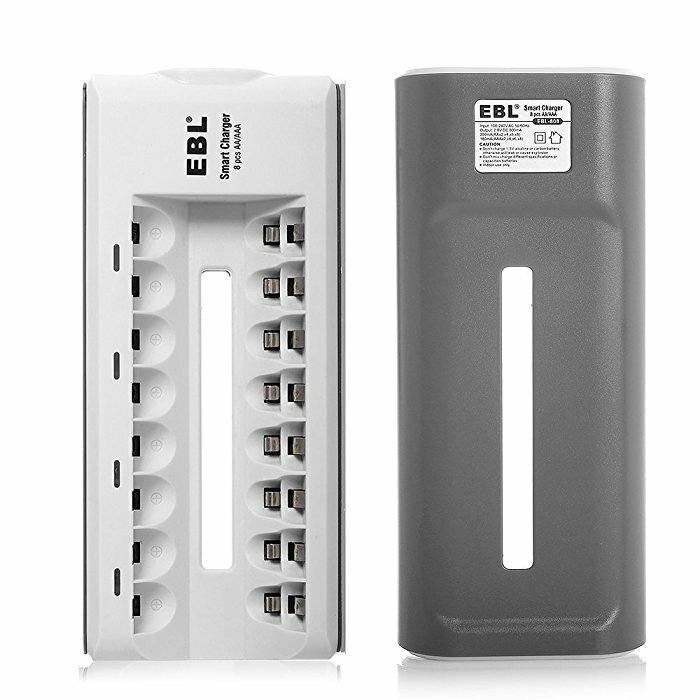 The charger has worldwide universal voltage input: AC 100-240V 50/60Hz, and 1000mA output with great efficiency. 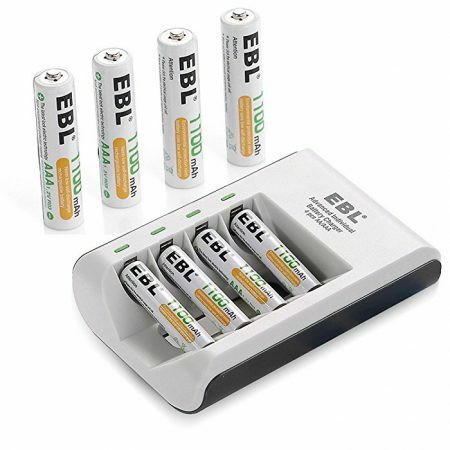 4 LEDs clearly indicate batteries’ charging status. 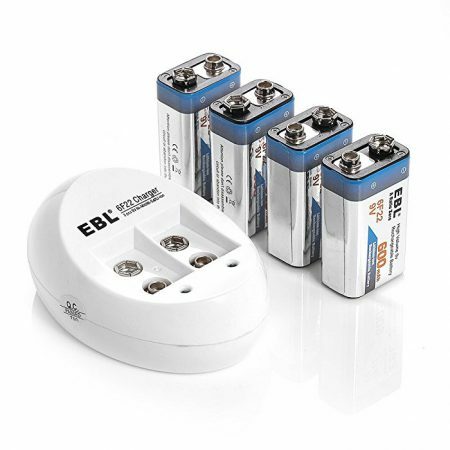 When LED is on, it means charging, when it’s off, it means charge is finished. 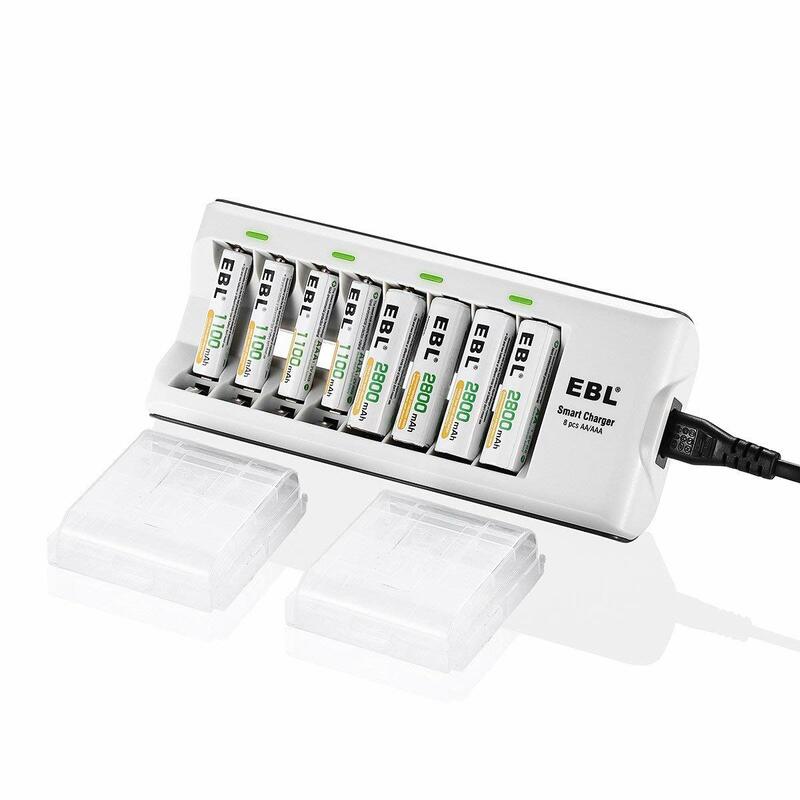 The charger will automatically switch to trickle charge for batteries when charging is almost complete for maximum battery capacity. 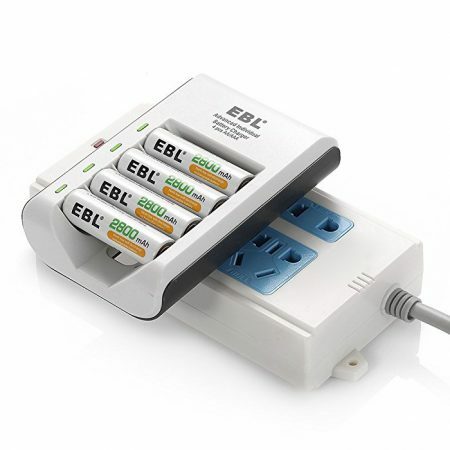 The safe charger has good heating control. 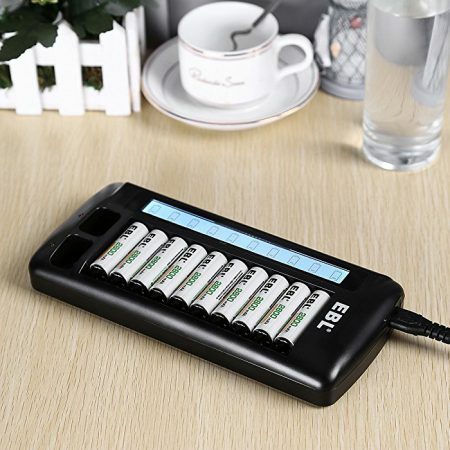 When voltage goes up to 3.4V, it will automatically stop charging. 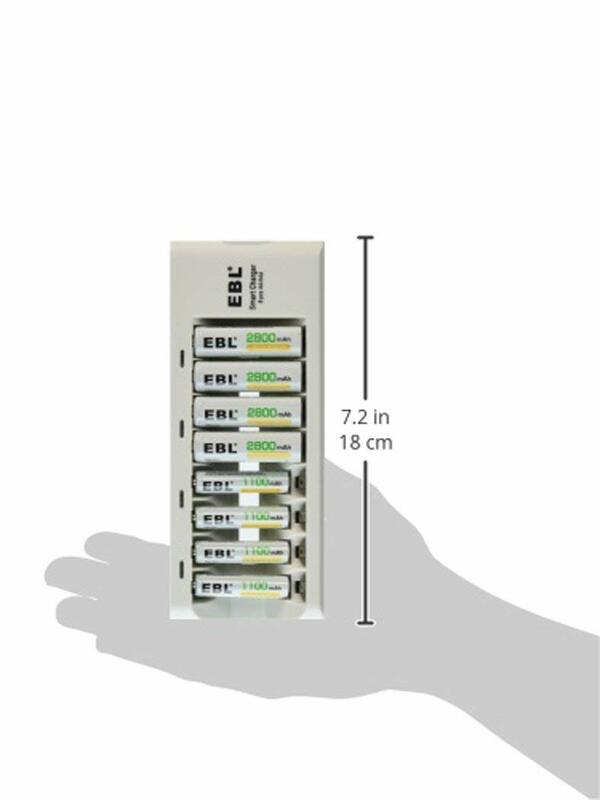 The smart battery charger has full protection against over load and short circuit. 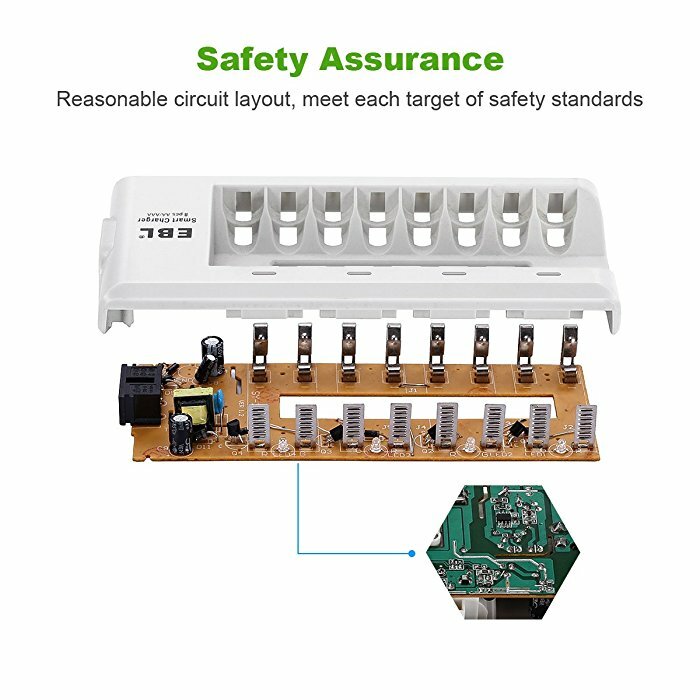 It also features input voltage detection for protection. 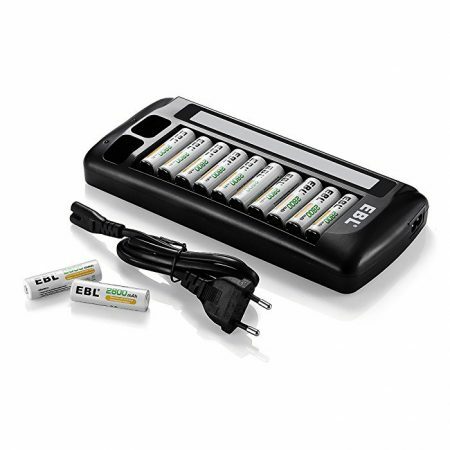 2.8V DC output largely shortens the charging time (compared with most similar 2.4V chargers). 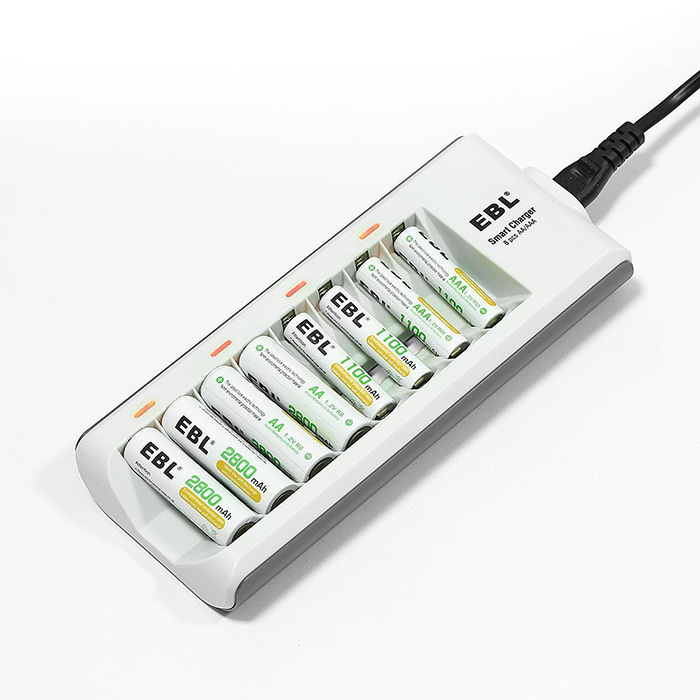 The negative delta V (- ∆V) cut-off function enables the charger to turn off automatically when charge is finished. 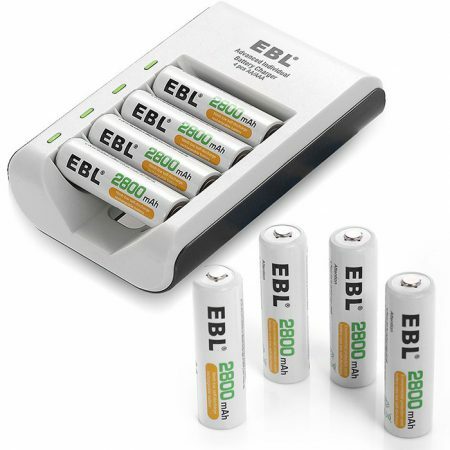 The EBL 808 smart charger can charge 2/4/6/8 AA or AAA batteries together at a time. 4 LEDs show the status of charging, never charge 1 AA + 1 AAA together at 2 slots which are controlled by 1 LED. 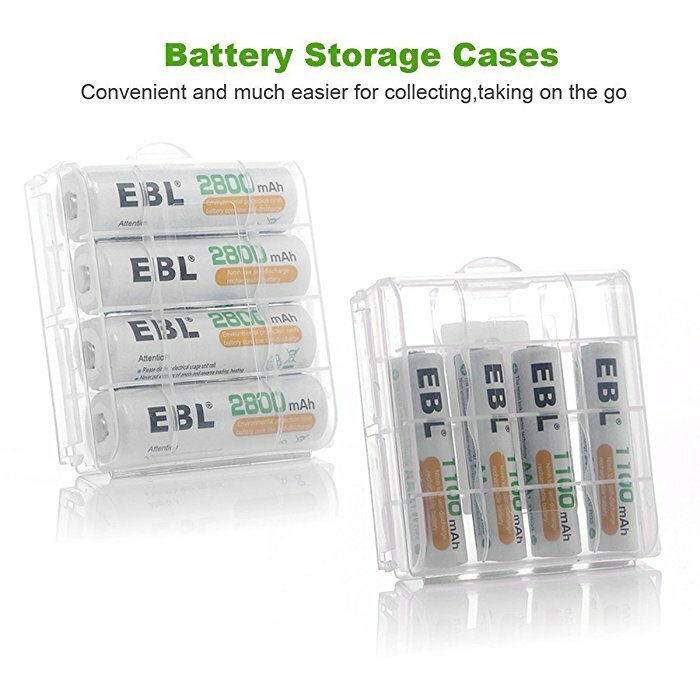 AA and AAA Ni-MH Ni-CD rechargeable batteries(Not including alkaline or lithium batteries).